When it comes to ugly Christmas sweaters that go beyond a pattern printed on a sweatshirt, you can expect to pay around $50 on average. 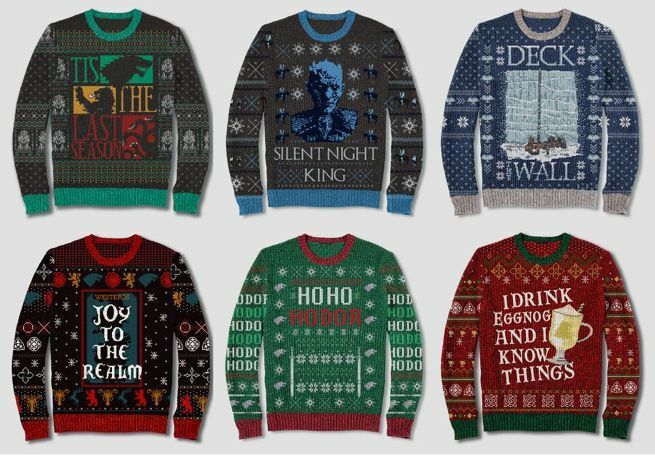 However, Game of Thrones fans can score six awesomely ugly holiday sweaters at Target for only $29.99 with free 2-day shipping. Big & Tall sizes are also available for $32.99. The sweater listings are in men's sizes, but they should be considered unisex. Keep in mind that Target is also offering a $10 gift card with a $50 clothing, shoes, and accessories purchase ($25 with a $100 purchase), so if there's anything else you need to get you can save a little extra on it all while the deal lasts. They're also offering 10% sitewide discounts for veterans through November 12th. If you're looking for additional options, check out our list of the best ugly Christmas sweaters of 2018. There are tons of designs for fans of Marvel, DC Comics, Star Wars, Rick and Morty, Harry Potter, Disney, and more.